History and future of Duke And Ockenden also known as “D and O” or Dando. Mr Duke and Mr Ockenden. Dando still exists today but not longer manufacture pumps or equipment for hand dug water wells. They also have no information on this history or equipment. Dando are now Dando Drilling who manufacturer borehole drilling rigs which are exported all over the world. Dando Drilling are still based in the UK and are the only drilling rig manufacturer left in the UK. 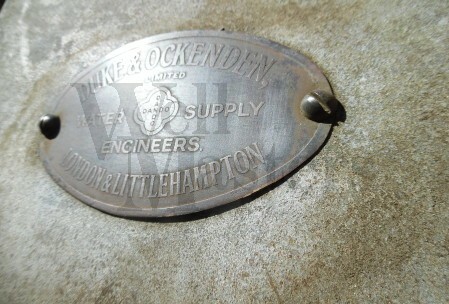 We come across many of the old Duke and Ockenden’s pumps and equipment and there is not much of their original equipment we have not seen, touched or restored back to working order. Some of Duke and Ockenden’s equipment includes pumping station pumps, small domestic windmill / windpumps, large windmills, well pumps and borehole pumps. Also not forgetting they were great engineers and made many wells and well tops safe which included the RSJ iron beams acrosss the top, concreting and large man hole covers. If you have any equipment from Duke & Ockenden and would like advice please do contact us and also if you have any pictures they would be great to see.